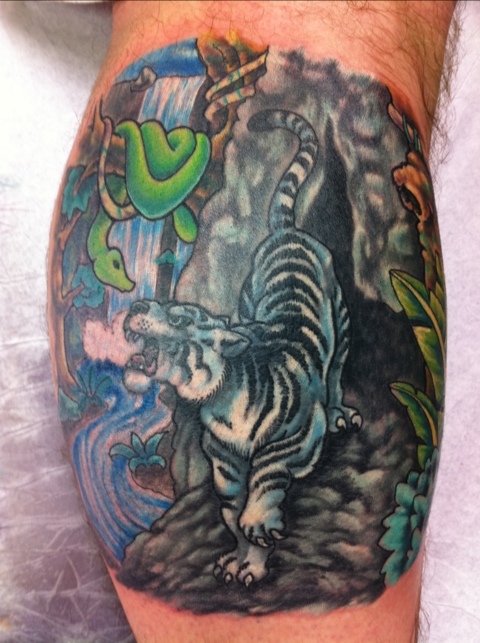 This is a tattoo that I redid, he had the tiger and cave originally but I livened it up and enhanced it. Then we added the background to bring in some more color. This entry was posted on March 2, 2011 by chagotattoos. It was filed under Uncategorized .